He will be raffling off a free Micron Kit during the show. "; //fcontent="
British Film Institute in London"; //fcontent="
Exhibition 12-14 August 2014"; //fcontent="
Exhibition 12-16 September 2014"; //fcontent="
Saturday, February 1, 2014"; //fcontent="
Vancouver Int'l Film Centre - Vancouver, Canada"; //fcontent="
On DVD & Blu-ray August 27, 2013"; //fcontent="
June 3 - September 20, 2013"; //fcontent="
Steve Schklair speaks Thursday, January 9th, 2014 at 10am"; //fcontent="
Opens September 20, 2013"; //fcontent="
November 28 with James Sicignano and May Peltonen"; //fcontent="
December 3-5 with Jill Smolin"; //fcontent="
December 13 with James Sicignano & May Peltonen"; //fcontent="
August 21-23 with Steve Schklair"; //fcontent="
Sunday, August 26th with Jill Smolin"; //fcontent="
September 3-9 with Jill Smolin"; //fcontent="
Exhibition 7-11 September 2012"; //fcontent="
3D Live Events 3D Alternate Content & Venues"; //fcontent="
New Global Market for 3D"; //fcontent="
September 20-22 in Los Angeles"; //fcontent="
Introduction to 3D with Jose Dias (Rede Globo)"; //fcontent="
3D Rigs with Pedro Guimaraes"; //fcontent="
Sundeep Reddy teaches 3D master class Oct. 10-11, 2012"; //fcontent="
We believe an educated workforce is a powerful workforce. Whether we are teaching in our classroom, in your studio or on location, we make sure you understand everything from theory to practice. In addition, we believe the more time you have on the rig and with the system, the more of a contribution you will make to your next project. We can't teach you everything, but we can give you the tools you need to start you learning about and creating in the incredible world of stereoscopic 3D. 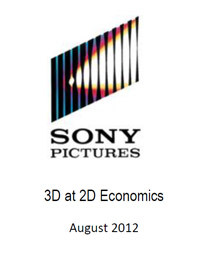 3ality provides professionals with the information they need to succeed on all manner of S3D productions. Covering everything from theory to practice, our classes give you the opportunity to apply the theory to the equipment, getting hands-on experience with rig building, alignment, software configuration and shooting. 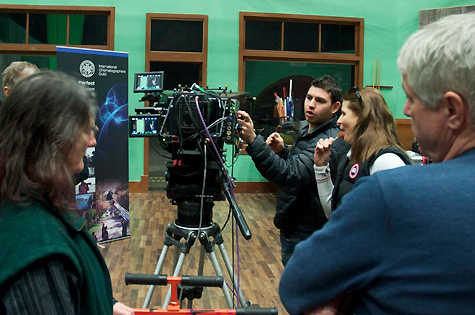 We take you through the practicalities of providing you with information you want to dive in and start working on set. 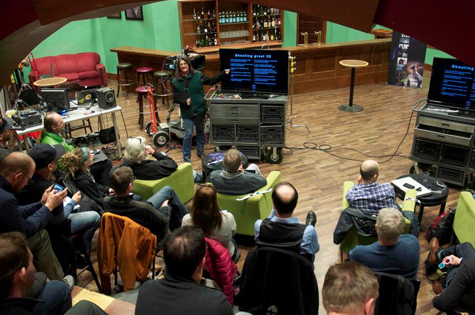 We can also tailor the class to your needs, whether you're a producer, a director, or just want to understand how stereography affects the industry, we can create the vehicle -- for one or 100 -- that answers those questions. Classes can also be organised around production: We can help you ramp up for a feature, or take you on location to do a small, real-world shoot. If you're jumping into a live broadcast, we can make sure you know the best way to integrate 3D into your existing pipeline, or we can help you create a pipeline from the ground up. Please note that classes are offered as time and resources are available. Sometimes notes just aren't enough! We're making these videos to refresh your memory, teach a colleague, or get a jump on the gear you ordered.